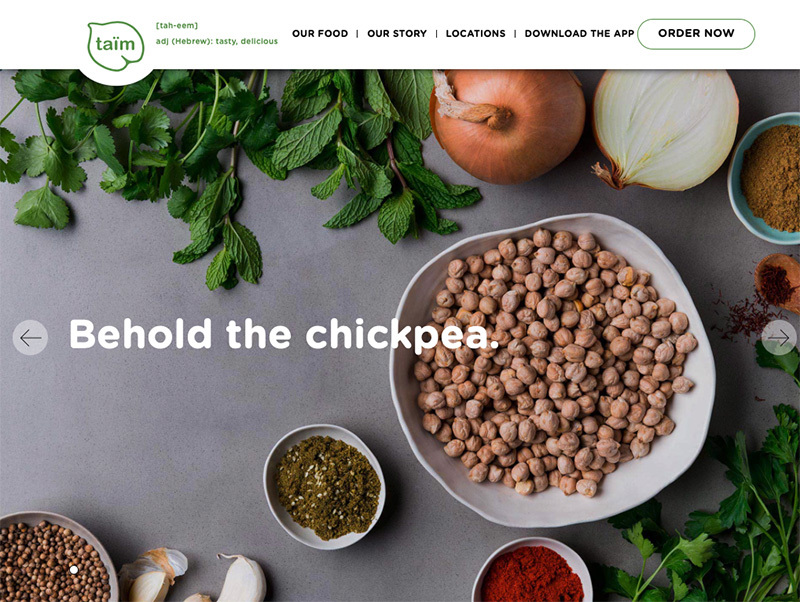 How do you expand a tiny falafel shop into a tasty brand? Taïm means tasty in Hebrew. And it’s an absolutely perfect name for this small but growing falafel shop in Manhattan with a passionate foodie following. With plans to expand in New York City and beyond, the husband/wife team needed to define and refine their brand to resonate with new eaters and employees. Focus on falafel. Own your Israeli heritage. 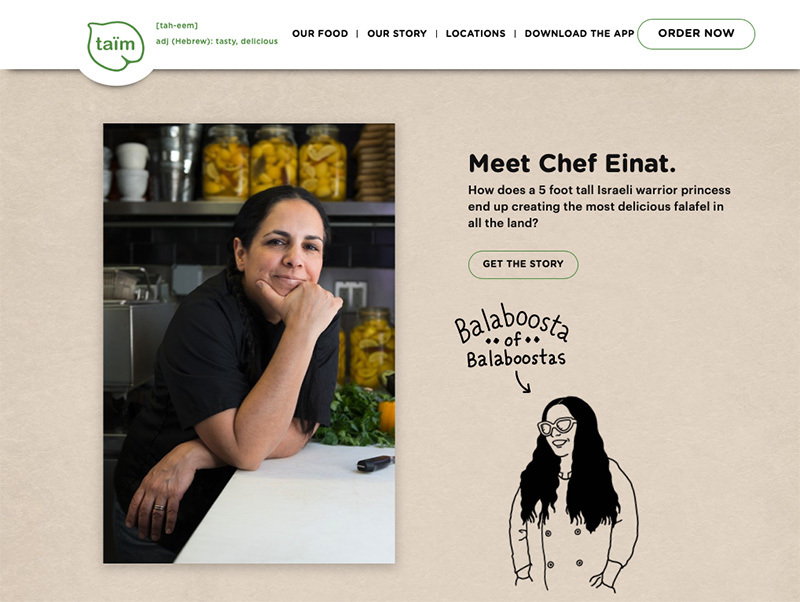 And emphasize Einat, the balaboosta chef and founder, formed the backbone of our strategic messaging. To make ordering faster and easier, we streamlined the menu board. To educate customers about what makes Taïm unique, we created a gourmet glossary and a brief history of the chickpea. To bring more employees into the family, we crafted new mission, values, and personality traits. 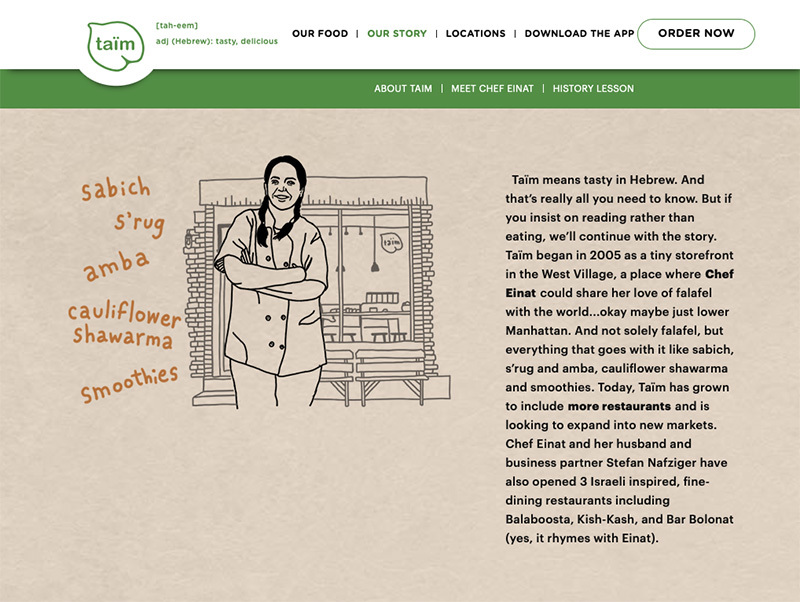 Now, with 5 locations and more on the way, Taïm is telling the world a consistent, delicious, and totally authentic story online and in-store.